U-Pass BC transition to Compass is in full swing! 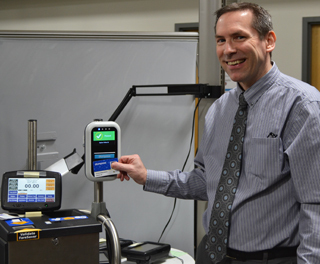 On June 1, another 50,000 students say good bye to the paper U-Pass BC and hello to Compass. Students from BCIT, Langara, SFU and UBC will start using Compass Cards to travel across Metro Vancouver—and never have to line up for a paper pass again. Check out this video for all the steps! Those with a Compass Card need to load their U-Pass BC onto their Compass Card. 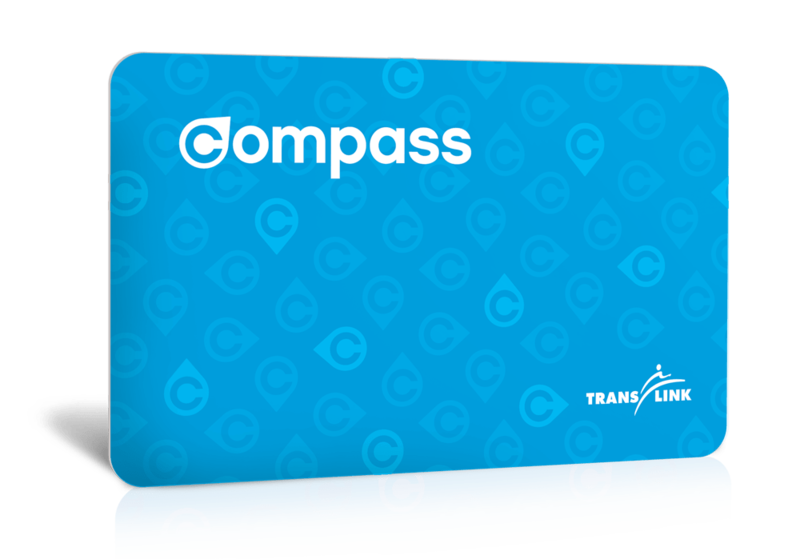 To have a U-Pass BC WCE Add-On loaded onto their Compass Card, visit the WCE Office or call Compass Customer Service 604.398.2042. Students need to tap once they’ve loaded their WCE Monthly Pass onto their Compass Card. Until then, U-Pass BC students do not need to tap in and out on West Coast Express. The next students to get Compass Cards are from Capilano and VCC. Once they’re tapping on July 1, all schools will be fully converted to Compass. Have questions? Ask away at AskCompass.ca and see our FAQ page here. We have a Compass Card update! The next group to receive Compass Cards will be post-secondary students at 10 schools, starting in the new year. Roughly 2,000 students will start using Compass Cards on February 1, 2015. Cards will be distributed to another 2,000 students shortly thereafter. The remaining 141,000 post-secondary students will then be transitioned to Compass and, by the end of the summer, all post-secondary students will be tapping in and out of the system. Don’t worry, we’ll give students lots of notice, so that they’ll know well in advance how and when to pick up Compass Cards. For now, it’s business as usual for all post-secondary students! You will continue to pick up your paper ticket each month from your school’s dispensing machines or student centre. Remember to sign the back and keep your student ID with you at all times. Which post-secondary institutions are participating in the program? Participating institutions include the University of British Columbia, Simon Fraser University, Capilano University, Langara College, Emily Carr University of Art & Design, Vancouver Community College, Douglas College, Kwantlen Polytechnic University, British Columbia Institute of Technology, and Nicola Valley Institute of Technology. How will students get Compass Cards? Over the next few months, we’ll work with individual post-secondary institutions to determine the best way to get Compass Cards to students. Once the plan is set, it will be communicated broadly, so that everyone is in the know. In the meantime, if students have questions, they should speak to their post-secondary institutions. Compass Cards will replace the current post-secondary paper-ticket pass system, which means students can say good bye to long line ups! Once students have Compass Cards and their eligibility is confirmed, they can link their transit pass to their Compass Card each month online. Then they can start tapping! One of the reasons students will be able to load their transit passes online each month is because of an innovative system created by TransLink. Compass Point Gateway is s secure, private network developed by our staff. 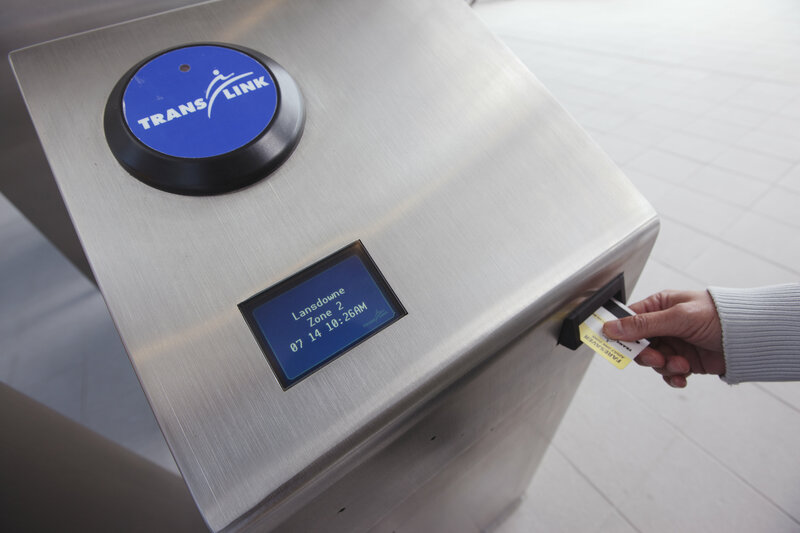 It enables TransLink to deliver program benefits to Compass Cards for clients. Compass Point Gateway is one of the keys to success in transitioning students and other paper-pass holders to Compass Card. If a Compass Card is lost, students can replace it by unlinking their transit pass from the lost card and linking it to a new Compass Card in order to resume travel for a given month. We’re continuing with a phased approach to the launch of Compass. A phased approach is how other major transit systems have been successful, and it’s the best way to ensure we get it right for our customers. The Opal Card in greater Sydney, Australia and CharlieCard in Boston both took a phased approach to launch. Opal was rolled out to customers starting in December 2012 on its ferry services before moving to trains and buses by the end of 2014 and light rail in 2015. The CharlieCard was launched for seniors, riders with disabilities, and reduced- and free-fare customers in mid-2006. Roll out to the general public did not begin until December 2006 and January 2007. Winnipeg and Calgary are both currently working on implementing their own electronic-fare-card systems and are taking their time to get it right. Full implementation on Winnipeg Transit was anticipated to be complete by the end of 2013, but introduction has been pushed back to spring 2015 due to technical glitches and issues. Calgary’s CONNECT was scheduled to be completed and released by late 2014, but cards were just distributed to Calgary Transit staff in September 2014 to begin testing. Why launch to post-secondary students next? Because the schools are ready! We have been working with the 10 post-secondary institutions since 2012 to prepare software and systems for the transition to Compass. TransLink and each of the post-secondary institutions have developed and implemented systems to facilitate the delivery of Compass benefits to student’s Compass cards. Adding students to the Compass system will offer insight into how the system performs under heavier loads. Since the 10 participating post-secondary institutions include transit fees in their tuition, and provide for all-zone travel, students cannot be over-charged if they receive a tap error. What’s next after the launch to post-secondary students? Once we’re satisfied with the performance of the Compass system and our mobile validators, we will move ahead with the transition to Compass. For students, until you hear differently, continue to use your paper tickets. We won’t begin distributing Compass Cards to students until January 2015. They’ll be distributed to students in three waves, beginning with small groups at the start. For everyone else, the launch of Compass to post-secondary students won’t affect you. Customers who pay their fare using a Monthly Pass, FareSaver tickets, cash, and other forms of fare media can continue to do so until we move to the next phase of the roll-out. We will give our customers plenty of notice when they are next to transition to the Compass Card! Current Compass Card users can continue to “tap in” and “tap out” on the system like they have to date. Are you a post-secondary student at one of the institutions listed above? Are you ready to tap away?! Let us know in the comments section below! Got questions about Compass? Ask away at AskCompass.ca. In case there’s any confusion about how to pay for transit between now and the day when Compass is in full swing, we’d like to clear the air. For now, it’s business as usual. 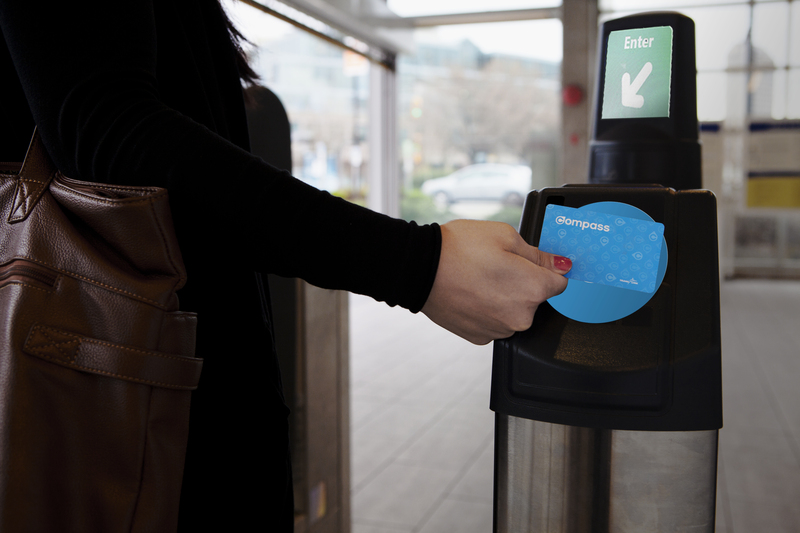 If you already have a Compass Card, please keep tapping in and out when you use transit. For those who don’t have a Compass Card, you can keep using FareSavers, Monthly Pass, or cash to travel. Once we begin introducing Compass Cards to the general public, we’ll begin phasing out current forms of fare media, like FareSaver tickets, for example. But for now, you can keep buying FareSavers or whatever fare media you normally use. keep using your FareSavers, it’s business as usual until Compass arrives! 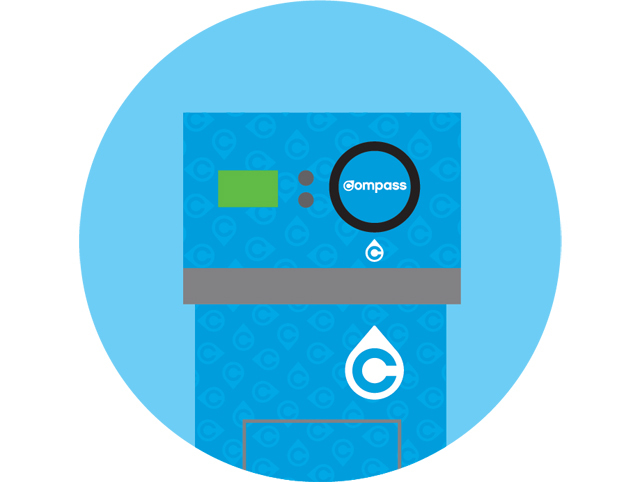 Don’t worry, once we begin the transition to Compass, we’ll give you lots of time to use up your FareSaver tickets or convert their cash value to Stored Value on your new Compass Card. During the transition period, you’ll be able to use your FareSaver tickets for a limited time and we’ll broadly communicate the timing of FareSaver discontinuation, so that you can get ready. Once we phase out FareSavers, you’ll still be able to get a discount on regular fares with the Stored Value option on Compass Cards. Adding Stored Value is just like adding cash to your card, but when paying with Stored Value, you get a discount over standard cash fares, so it’s perfect for single-use trips and paying AddFares. You can also take advantage of AutoLoad and Balance Protection when you register your Compass Card. For more information, visit our Compass pages or askcompass.ca. You’ve seen the gates at SkyTrain stations, you’ve seen the gizmos on buses, and you might have seen someone use a Compass Card. Naturally, you’re wondering when the Compass system will be in full swing. We currently have 85,000 Compass Cards in use by TransLink and operating company employees, BC Bus Pass holders, and some CNIB (Canadian National Institute for the Blind) users. We’re eager to launch the card to the public, but we want to make sure everything is up to scratch before pushing ahead. We’re working with our contractor to increase the transaction speed and reliability of our mobile validators (i.e., the gizmos on buses that read Compass Cards). Rather than roll out a system that doesn’t meet our standards for customer service, we’re making sure it is right for our customers before taking the next step. What should you do in the next few months? For now, it’s business as usual for our riders. While we work with the contractor to improve the performance of the mobile validators, it’s important for existing Compass Card holders to continue to tap in and tap out. The “taps” we’ve recorded since the inception of Compass have already painted a valuable picture of “what, where and when” people use transit. The data will help us make customer-focused decisions in the future. If you don’t have a Compass Card, just keep using the system as you always have, and we’ll provide further updates as work progresses. When the time comes for the next phase of our rollout, we’ll give you lots of notice. What does everyone else think about Compass? We’ve learned from cities around the world that extended delivery schedules are common with major system changes like the Compass project. In April 2014, we invited peer reviewers from LA, Montreal, Seattle and San Francisco to evaluate our progress. They all agreed that we’re on the right track, making good progress by industry standards. Thanks for all your comments, questions and suggestions about Compass! As the transition continues, we know it’s more important than ever to stay connected and make sure we’re getting you the information you need. 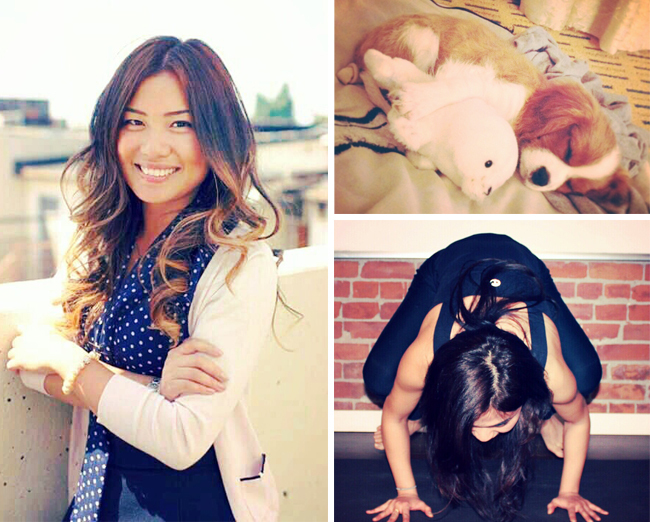 Therefore, starting this month, we’ll offer regular live chats with Compass team members. A different member will attend the live chat each time to answer your questions. We conducted a survey on Facebook recently to find out your preferred format, and you told us a live chat on our Facebook page was the way to go. Drum roll please…the first-ever Compass live chat is on! Mark your calendar and join us on Friday, April 25 from 11:30am-12:30pm. 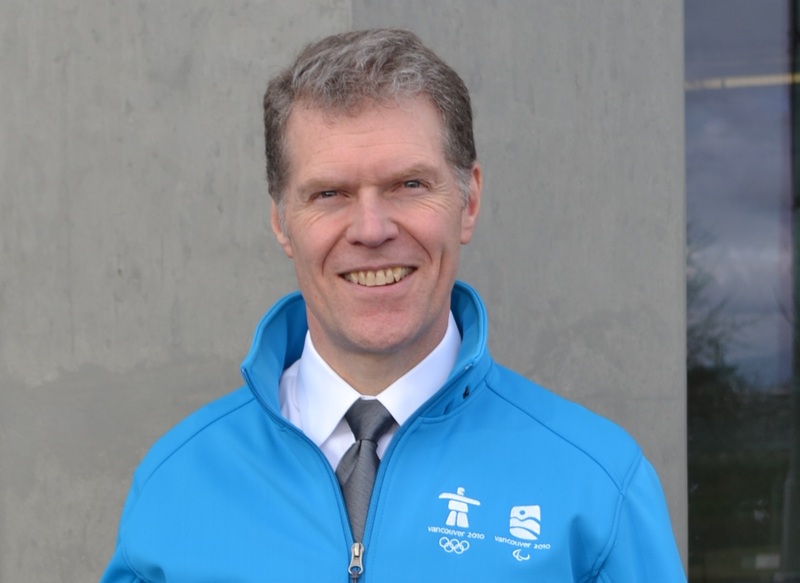 To kick the series off, we’re pleased to welcome Mike Madill, VP, Enterprise Initiatives, to our Facebook page. Mike will be happy to answer your questions about the Compass project, particularly about what you, as a customer, can expect from Compass and the transition. Bring all your questions and comments and join us for an hour of live interaction right on our Facebook page. If you can’t make it on Friday, please post your questions here and we’ll make sure Mike answers them on Friday. See you Friday! We’ve heard from Beta testers and a few Compass Card users that the volume of the beeps on bus Compass Card readers was nearly impossible to hear—unless of course you have the kind of hearing that would make Superman jealous. System Engineer David Grabowski and his team approached some stakeholders interested in adjusting the volume on the readers. The test group ran through many scenarios to replicate the noisy environment you’d experience when tapping in and tapping out of a bus. We hear the testing process was quite a production; you name it, there were engines running, fans blowing, horns honking, and Dave yelling. We even suspect pots and pans might have been used liberally to increase the noise level. The result of all this was that a new, more robust volume was chosen and Davie and his team went ahead and updated the software on Mobile Validators on all buses to increase the tap volumes. We’re pretty sure you’ll notice the difference! Got your Compass Card already? Remember, the best way to tap your card is to hold it flat against the reader until the message on the screen changes. If this doesn’t work, please call the number on the back of your card or email customerservice@compasscard.ca with as much information as you can (route #, time, bus #, location, error message, etc). Over the next few months, as we continue to introduce more customer groups to the Compass system, we’ll be working on further fine tuning the system. As always, your input is critical to the success of Compass. Woohoo! We’ve reached 10 million taps since January 1. Thank you very much for your support of the Compass project. Welcome back to the Compass classroom! This week’s topic: deciding what comes first on your Compass Card. Did you know there’s a priority to Compass fare products? 1. Any active pass – the system will look for an active Monthly Pass, Program Pass (i.e. BC Bus Pass), or DayPass first to use for travel. 2. Inactive but valid Monthly Pass or Program Pass – when there isn’t any active pass found on the card, the system will look for an inactive Monthly Pass or Program Pass to activate for travel. 3. Inactive but valid DayPass or WCE Return Trip – when there isn’t any active pass or inactive Monthly or Program passes on the card, the system will look for an inactive DayPass or WCE Return Trip to activate for travel. 4. Stored Value – when there isn’t any active or inactive passes found on the card, the system will use Stored Value. *Please note that this only applies to Compass Cards, not Compass tickets. So what’s the difference between an active pass and a pass? Compass points the way to a more convenient, easy to use, and safe and secure transit system. Hooray, we’ve already reached over 3 million taps in the system! We think this is a pretty cool first step in our Compass rollout. More good news: Vancouver CNIB clients will start to receive their Compass Cards in the next few days. CNIB clients will be transitioning to the Compass Card in small groups over several weeks and we’re working with staff at CNIB to offer training sessions for these users to make sure they’re comfortable using their Compass Cards. Curious as to what these training sessions look like? Check out the videos we took during recent sessions. They’re already pro tappers! 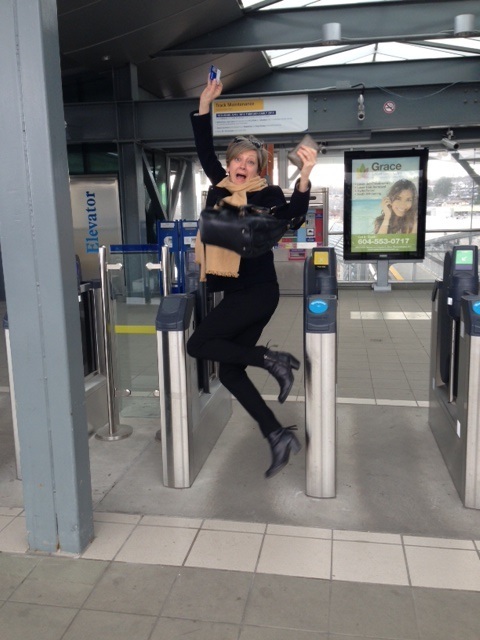 A TransLink employee, Joanne Proft, was REALLY excited to use the fare gate. If you’ve been to Sapperton Station in the last few days, you might have noticed something different. Yep, you’re right, one set of the fare gates is closed, and yes, it’s supposed to be that way. 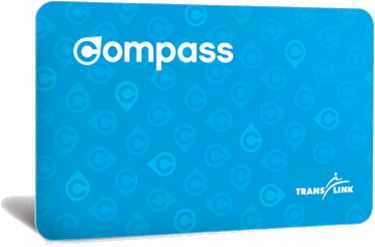 We know many of our customers who already have Compass Cards (80,000 of them!) are excited to be able to tap their card and have the fare gates swing open for them to walk through—now they can. Because, frankly, we can, and we wanted to have some fun! I’ve got a Compass Card, what should I do? Try it! Tap in and watch the fare gate open (and close). Tap out and watch the fare gate open again. Form a conga line with your other friends with Compass Cards and see how many can tap in a minute. And keep an eye out: we might just close another fare gate at another station close to you (but only if it won’t impact flow for customers without Compass Cards). Don’t have a Compass Card? Your turn to tap is coming soon. Next up: Canadian National Institute for the Blind clients are getting their Compass Cards slowly over the course of several weeks. West Coast Express customers will follow in the late spring, and other customer groups will be added through the summer and fall. But don’t worry, we won’t be closing all the fare gates until we’re confident both the system and our customers are ready—likely in late 2014. Stay tuned for more information as we move through the different transition phases to find out how and when you can get and use your Compass Card. Julia the new Buzzer contributor! I am a certified Yoga instructor and I get a little giddy when I see my students carrying re-usable bags and drinking coconut water. I have the cutest puppy in the whole wide world (totally objective), and he sleeps with a baby seal. I always say hi to people in the elevator and I get REALLY offended if someone ignores me and maybe cry a little in the bathroom. Anyway, I hope to hear from you. Comment away and I will do my best to answer all your Compass related questions. The Compass project is in full swing after our first customers tapped in on the system a few weeks ago. 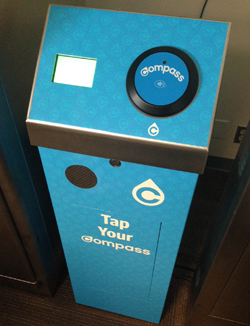 We already have over 600,000 taps in the system and about 80,000 Compass Cards will be in use by end of January! Yay, Compass! Now that you know how to tap in and tap out, it’s time to get a bit more technical and give you a behind-the-scenes look at some of the activity under way. For the transit buffs out there, do you know when one day ends and another begins on transit? Since there’s always a bus on the road at any given time of the day, the cutoff time is actually quite arbitrary. This makes delivery of an automated fare collection system that deals with the ‘start’ and ‘end’ times of the bus service both tricky and difficult to test. For instance, the last N10 bus arrives Downtown at 5:27 a.m. on Sundays and actually belongs to the Saturday schedule. However, the first #10 Bus leaves Marpole Loop at 5:26 a.m. on Sunday and is part of the Sunday schedule. So what does it mean for Compass? For Compass, the transition occurs at 4:00 a.m., the time when the fewest number of passengers are on the system, according to ridership statistics. Between 3:30 a.m. to 6:00 a.m. when most of us are sound asleep, William Hui, System Engineer and Doug MacKinnon, Manager of Compass Implementation, are wide awake! And no, before you go there, they are not planning a heist or dumpster diving for Happy Meal collectibles. They are part of the ‘secret society of Compass’. No wonder William, Doug, and their teammates always seem so positive and together first thing in the morning around here! They are the behind-the-scene heroes who rise in the wee hours of the night to run tests using a variety of Compass Card and Compass Ticket products, replicating numerous transfer scenarios and verifying that the fare charges are correct. Their mission is to ensure our customers can tap in and tap out and transfer seamlessly before and after 4:00 a.m. and they have been doing a fantastic job! Though William and Doug might be a bit sleep-deprived these days, they are super stoked: it’s just one of the ways we’re working to make sure the system is right for our customers. The mobile validators on buses are bi-directional. This means you can still exit (and enter) through the front doors – tapping in and out on the same validator. It means that on buses that have all-door loading, such as the 99 B-Line, you can tap in (and tap out) at the back doors too. I hope this update has whet your appetite for more Compass info. I plan on updating you more on Compass in the future! Just a few weeks into our first customers using Compass, and our Compass Card readers have already registered thousands of transactions through our system! “Tap in and tap out” is a bit of a mantra for us here on the Compass project, but if you’re using a Compass Card for the first time, you might be wondering what exactly that means. Is it like a secret handshake? Can you swipe it through a slot? Insert like a credit card? Swoop in and out as fast as possible? Close your eyes and tap your heels together three times? Nope, not quite. Hold your Compass Card (or Ticket) flat against the card reader, fare gate or station validator until it beeps or until the fare gates open (once we close them later in 2014, that is). The screen display should also change and give you a message. The first time you use your new Compass Card, you’ll need to hold your card on the reader just a smidge longer (think “one-one thousand, two-one-thousand”) until the screen says “Card updated.” This gives the system time to recognize that the pass is loaded on the card and ready for use. If you try to remove your Card too quickly, you’ll get a red X indicating that it didn’t load properly. Simply try again—this time for a bit longer—and it should load just fine. Once the Card is loaded, your taps after that will be much faster and smoother. Before you know it, you’ll be tap, tap, tapping along like a pro! Right now, BC Bus Pass holders and TransLink and operating company employees are tapping in and out on the system. CNIB customers will be coming online in the next few weeks as well and by the end of January, we’ll have about 80,000 people using Compass. We’ll be rolling Compass out to all our customers in phases over the coming months, with West Coast Express expected this spring, and most remaining customers this summer. Stay tuned for more information in the coming months about how and when to get and use your Compass Card. Before you know it, everyone will be tapping in and tapping out of our system and taking advantage of the flexibility and convenience of Compass and features like Balance Protection and AutoLoad with registered cards.